Saturday 06 May 2017. Photos. Today was all about visiting Rottnest Island which I’ve been hearing about for years. Rottnest Island is about 33 kilometres from Perth and is a very beautiful island but with a storied and sad past. After European settlement Rottnest has been used as a Aboriginal Prison (from across Australia, not just Western Australia) and as an internment camp during World War 2 but is now visited by over 500,000 people a year so I was looking forward to this visit. Jason was staying in Perth today. An early morning start (well not that early if you use Victoria Time which my body was still on) and a walk down to Barrack Street Pier and I was set for today’s events. 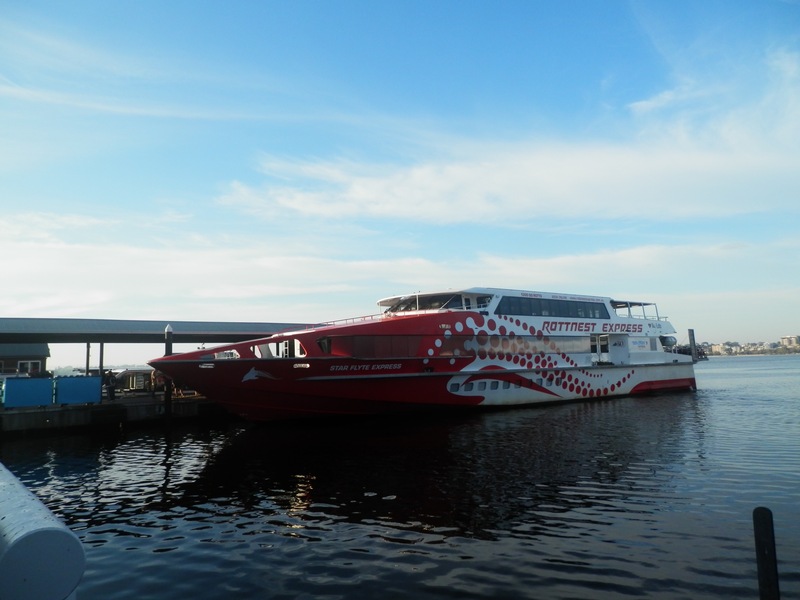 I booked the Rottnest Island Express Ferry service from Perth to Rottnest Island via Fremantle. This included a Coach Tour. 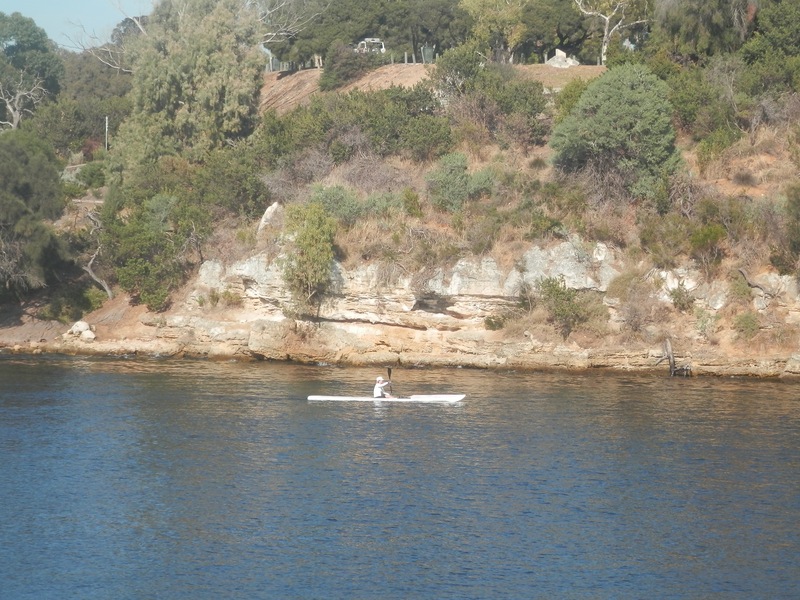 The Ferry trip took us down Swan River to Fremantle. This took approximately 60 minutes and included a very useful commentary of the local sites including Perth Park and the were the very rich live. I should have sat outside on one of the few higher deck outdoor seats (something I fixed for the return ferry). The majority of the Ferry actually joined at Fremantle. 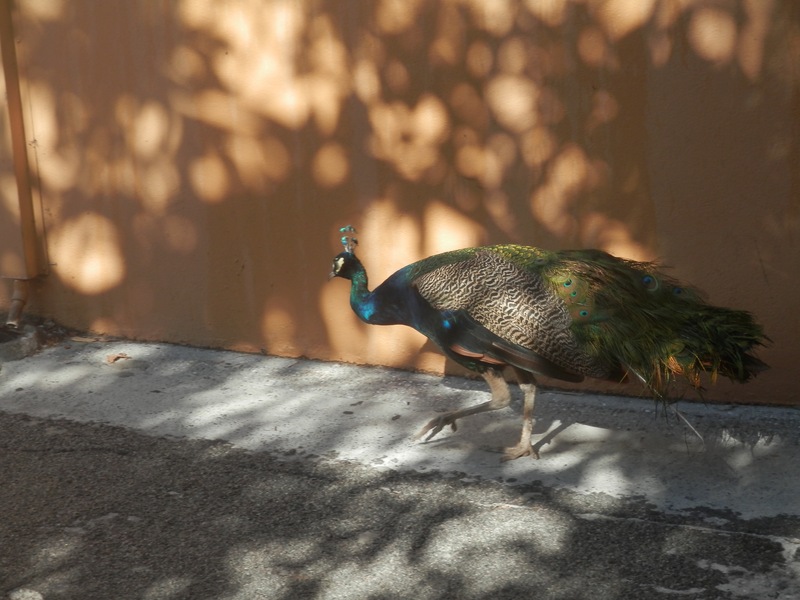 From Fremantle is was a quick and relatively smooth ride to Rottnest Island. I only had 30 minutes to orientate myself to the main settlement before catching the Discovery Tour Bus around Rottnest Island. Unfortunately I sat on the right hand side of the bus when most of the sights were on the left hand side but it was only a minor ignorance given the multiple stops. On the island there are only a few ways to get around, bus, bike or walk. Cars are only allowed for a couple of official functions (police, fire and general store deliver) in order to protect the Island. Quite a few of the bike riders were only wearing their bathers and in some cases very tiny bikinis (I’m not complaining). 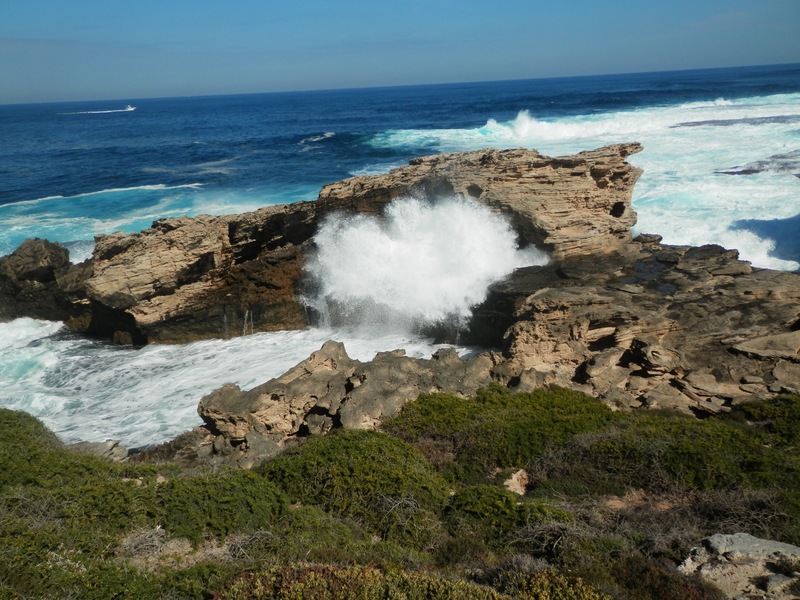 The highlights of the coach discovery tour was seeing a shipwreck, and the stops at the Bathurst Lighthouse and the West End / Cape Vlamingh. 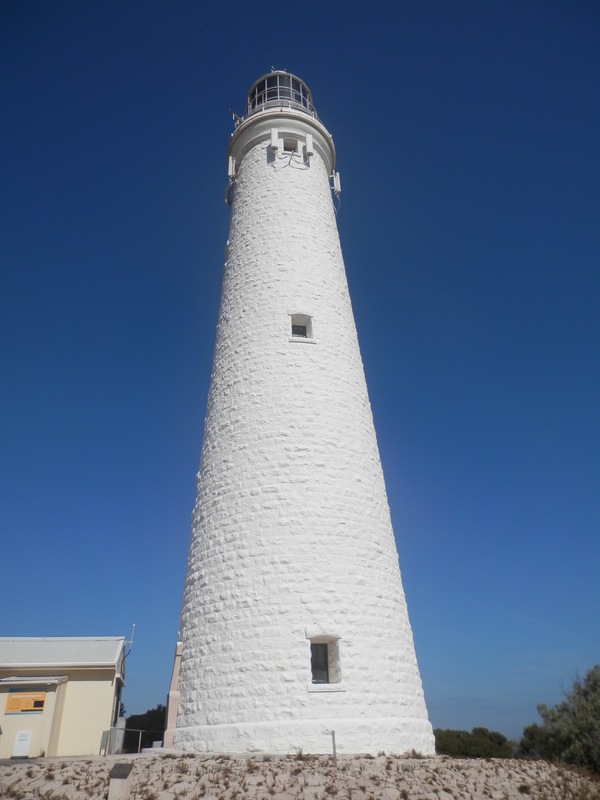 The Bathurst Light was the last manual lighthouse in Western Australia, with the last Lighthouse Keeper leaving in 1990. From the Bathurst Lighthouse I could see the Military Battery that was used to protect Fremantle. It was at this location I first saw my first Quokka, a lovely small marsupial about the size of a cat. The quokka is related to the kangaroo which isn’t obvious until you see one run, which actually is very rare as they are friendly creatures with no natural predators so they just walk around. Unfortunately quokkas on the mainland are dying out now that we have cats, foxes and dogs but here this beautiful creatures are protected. 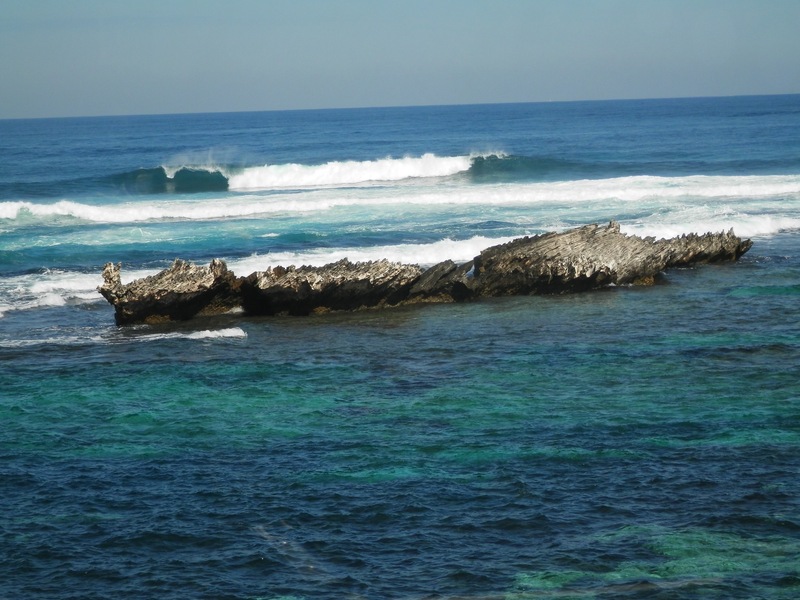 At the West End we stopped off to see the amazing coast and surf of Rottnest Island. Sometimes during the year you can see dolphins and seals. Watching the ocean sweep onto the coast was very smoothing. Back at the main settlement I first visited the old Rottnest Cemetery (last burial 1903) and climbed up a small hill to view Herschel Salt Lake. I enjoyed lunch at the local Bakery as the quokkas wandered around the town looking for a free feed. 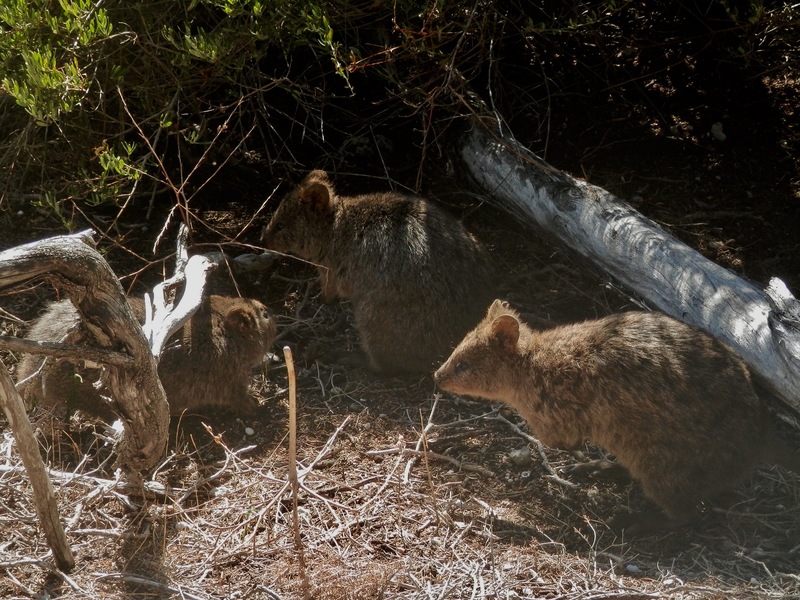 However everyone was under strict instructions not to feed the quokkas, or any of the wildlife on the island. After lunch I hiked up to the second Lighthouse on the Island, the Wadjemup Lighthouse built after City of York was shipwrecked. This gave me a chance to see more quokkas at close. At 3.55 pm it was time to catch the return ferry. This time I enjoyed the views from the upper deck on the outside of the ferry. 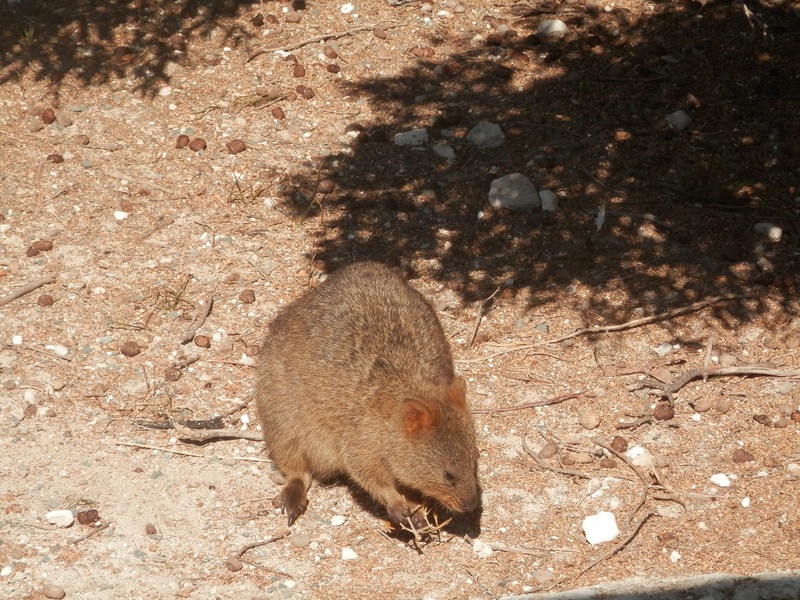 This entry was posted in Short Breaks, Travel and tagged Quokkas, Rottnest Island. Bookmark the permalink.